Looking for Small Fleet Insurance? When you are running a business, making sure your business vehicles are properly insured – and at a cost-effective price – is important. 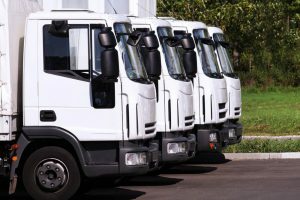 Keeping on top of the renewals and making sure you have the most suitable deal for each motor or van, however, can be time-consuming. And as with all businesses, time is money. The solution may be motor fleet insurance. If you have three or more fleet vehicles, then putting them all together, under one smart motor fleet insurance policy can save you time, money and the hassle of dealing with different renewal dates over the year for several vehicles. Our policies are flexible and can be tailored with you in mind to suit your own unique business needs. Why not get in touch today to see how we can help? That is where motor fleet insurance might save you considerable hassle, time and therefore money. And bear in mind that every pound you save, of course, helps to boost the bottom-line profits of your business. Why buy motor fleet insurance from Alan Blunden? At Alan Blunden Insurance Brokers, our roots go back to 1946, meaning you can benefit from the services of a well-established, experienced insurance broker who offers a personal service with bespoke insurance options. cover for any age of suitably qualified driver. Get a no-obligation quote now, or call us for a chat on 01702 826060 to see how we can help. At Alan Blunden Fleet Insurance, our aim is to give you good quality cover for your business vehicles, backed with a first class, no jargon service. If you have any questions relating to new or existing fleet insurance cover, please feel free to contact us. Alternatively, please browse our motor fleet insurance frequently asked questions by clicking here. Click here to access contact details in the event you need to make a claim.